Upselling is a sales strategy where an existing client is presented options to purchase an upgraded version of the product or service in order to increase the value of the sale. When it is done properly, upselling can also encourage brand loyalty. You have first-hand experience of what upselling is. A simple example of upselling is when you go to your favourite fast-food hamburger restaurant. In fact, you already have the exact payment nestled tightly inside your fist. Then the cashier goes on upsell mode, “Would you want extra cheese on that?” All of a sudden, the idea of having your burger with cheese sounded enticing. A quick glance at the menu board shows that the cashier is correct. Besides, washing down the double cheeseburger with pickles and onions with a large soda would make for a more filling and satisfying lunch. Of course, you’ve gone over budget. You have to break open the wallet and bring out a few more bills to pay for your lunch. Despite spending more than you initially intended to, you have no regrets. The burger was great. You’re stuffed but satisfied. You could even take the leftover soda with you to work. Next time, you might bring your friends to the restaurant. 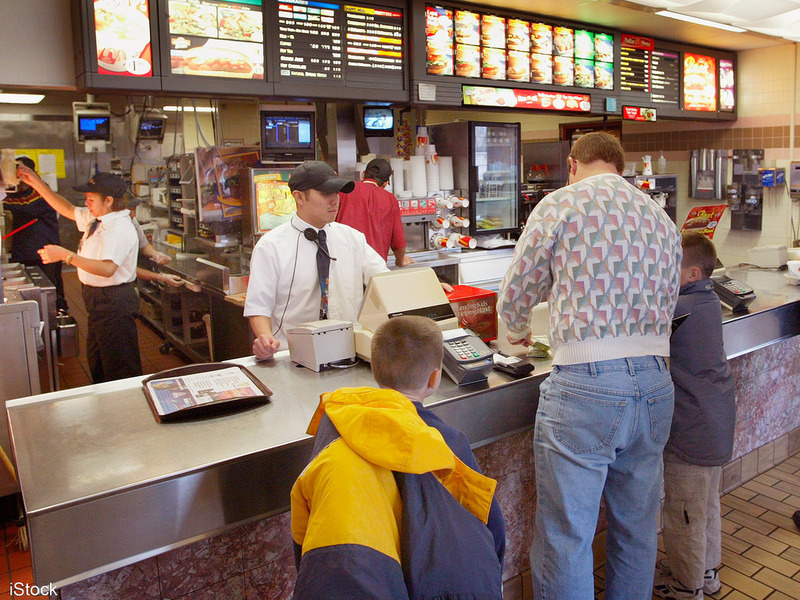 For the fast-food restaurant, it was able to increase the average check by applying simple upselling techniques. In this case, upselling is a win-win proposition. Upselling is a great technique to build up your sales. It’s not just limited to hamburgers and sodas. It can be applied to services and high-end, high-value products such as cars and real estate property. Upselling is also a proven way of building client loyalty. Going back to our fast-food example, should you take it against the cashier for upselling you a few slices of cheese and a large soda? No, you should probably thank the cashier for adding more value to your lunch. Many retailers train their sales agents to upsell products and services to existing clients because it is an effective way of keeping the cash registers ringing. Why? Because you already have a track record with your existing clients; they already know you. Existing clients are confident about the products and services they purchase from you. Start-ups and small businesses usually focus their marketing strategies toward new market creation. This is perfectly understandable because client acquisition is an important component of building a business. You want to expand the market reach of your products and services; perhaps open up the demographics of your Buyer’s Persona. Lost in the drive to find new clients is the need to maintain the existing clients. In a tightly-competitive market, every client is important. He/she can be pirated by a competitor if you are not vigilant about client retention. Some entrepreneurs think that the sale stops once a payment has been made. On the contrary, if you want your business to succeed, you should allow the sales process to continue. 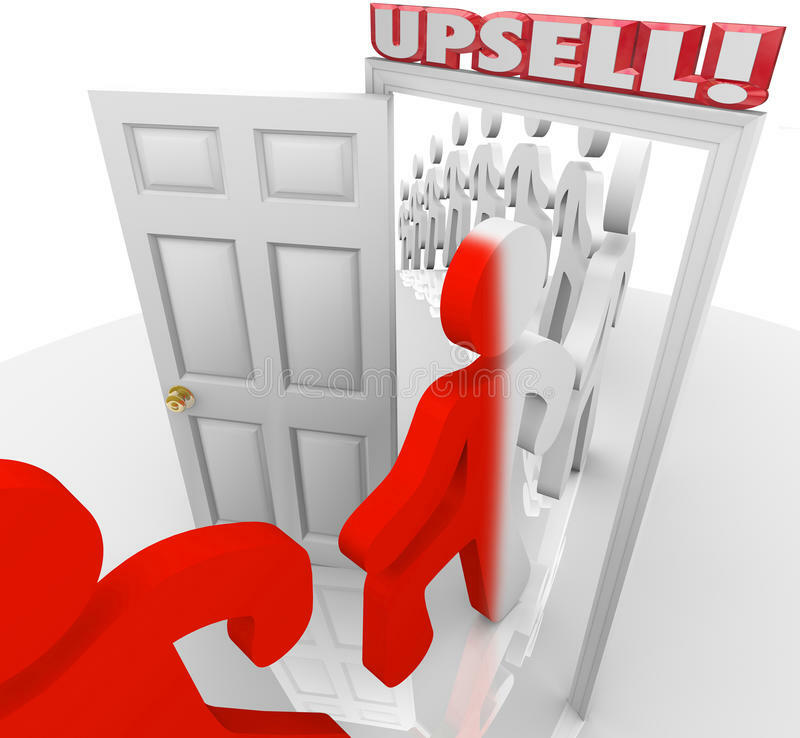 Upselling is one of the best ways to keep the sales cycle going. According to a study, you have a 60% to 70% probability of upselling to an existing client but only 5% to 20% chance of making a successful sale with a new client. Existing clients can become a valuable source of recurring revenue. They can also be a rich resource for business referrals. Therefore, upselling can help establish a healthy, long-term, mutually-beneficial, and sustainable relationship between your business and your existing clients. The fundamental principle of upselling is that it must present value to the client. Without value, your upselling approach will appear more like a sales pitch. To be successful, it must be relevant to the needs of the client. This is the reason why companies such as banks conduct KYC processes. KYC stands for “Know Your Client”. As early as the introductory stage of the relationship, a bank officer will take the time to sit down with the client and find out what his/her needs are as far as banking products and services are concerned. The client may initially start out with the bank’s basic suite of services. However, by having a better understanding of the client’s goals and expectations, the bank officer will be able to package and upsell services and investments that may appeal to his/her interest. For your upselling strategy to be successful, it must encourage collaboration with the client. Both you and the client stand to benefit from a successful upselling opportunity. Thus, it only stands to reason there should be common goals that are realistic and measurable. For example, you have a client who purchases software solutions in order to make operations more efficient. Let’s assume you implemented KYC as we suggested earlier. You know that the client wants to find ways to improve his/her outbound calling services in order to generate more leads for the business. You propose that the client consider subscribing to your company’s predictive dialler services because it can be programmed to increase the efficiency of outbound calling. To get a better understanding of the predictive dialler, you give your client a one-month free but supervised test run. The test run will be used to highlight the capabilities of the dialler and how it can help the client reach his/her goals. Furthermore, it shows the client that you have his/her interests at heart. The best way you can get a client to understand the value of your upselling opportunity is to focus on a goal that will generate immediate results. Going back to our example regarding the predictive dialler, you could focus on its capabilities to increase the connect rate and lower dropped calls. These goals are fairly easy to achieve with a predictive dialler because it can be programmed to search, scan then connect an answered call to an available agent. Increasing the connect rate and reducing the rate of dropped calls may not provide the long-term desired outcome of the client. However, it will prove that your proposed upsell does deliver immediate results that are aligned with the client’s goals. Although upselling can be as simple as convincing a customer to order his double burger with extra cheese, for high-end, high-value products and services, you will need to get into more detail. You have to take a holistic approach on how the upselling opportunity can provide long-term value to your client. Let’s assume that after the one-month free trial, your existing client decided to subscribe to a few licenses of your predictive dialler service. This opens the door to another upselling opportunity. Your company just happens to have existing arrangements with contact centre service providers that use your diallers. Now, you can recommend that your client outsource calling services so that he/she can focus more time and resources on the business’ core functions. By outsourcing outbound calling, you can show the client how the business can streamline costs while improving productivity. Real estate is a business that invites speculators. These are investors with the money to go long-term on new property developments and propositions that may carry a higher level of risk. Speculators can be a great source of recurring revenue. However, real estate is a very competitive industry because speculators go with agencies that offer the best deals. A good way to establish trust and loyalty with speculators is to package your upselling with premium opportunities. For example, if you have new property developments or available investments in newly-gentrified areas, you can give your existing clients who are also speculators the benefit of priority listing. You can also offer attractively-discounted, pre-selling offers for them to sign up for priority listing. The discounted prices will greatly mitigate the risks associated with long-term property investment. The Internet has tilted the balance of power toward the consumer. People have access to immediate information online. They also have virtual platforms from where to air their grievances or share their wonderful experiences. Businesses have seen this and have turned the Internet into a double-edged sword. They can use it to access your customers; showcase their strengths while highlighting your weaknesses. If you don’t take care of your existing clients, they can easily and voluntarily go to your competitors. Upselling is a proven and time-tested technique to helping businesses retain clients by adding greater value to your products and services. There may have been multiple reasons why the client chose you over the competitor. Once the decision has been made, you have to build on that trust by presenting high-value propositions to your existing clients. Upselling is more than just an effective method for increasing sales. It can foster strong and long-lasting relationships with your end-users. Your existing clients are more than just paying customers. They are assets who can help your business achieve long-term success and sustainable growth.